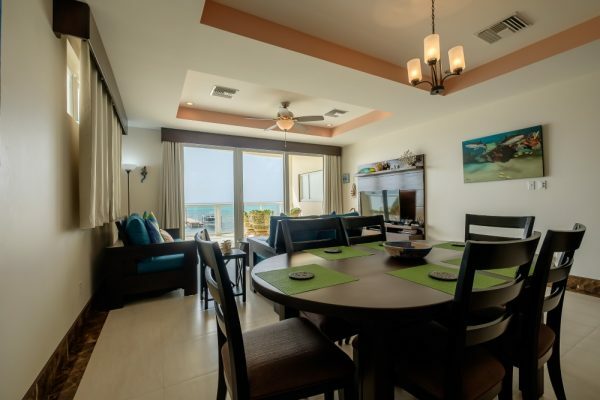 As an owner at Grand Caribe Belvoir, you become part of an exclusive and highly contented family. Stay there full or part time, place your unit in the rental pool full or part time and make very useful and worthwhile income, or keep it for your private use, it’s your option! 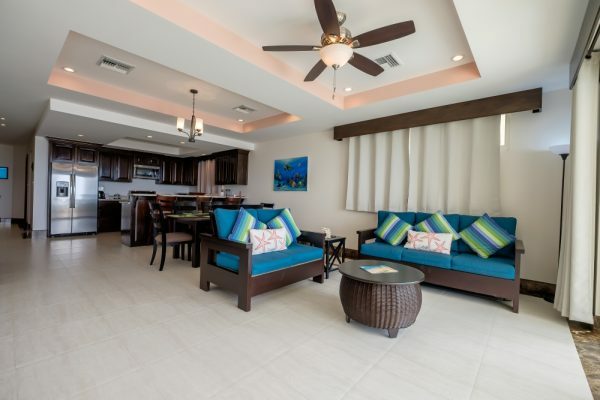 Everything at Grand Caribe Belvoir is geared to the benefit of the individual homeowners. 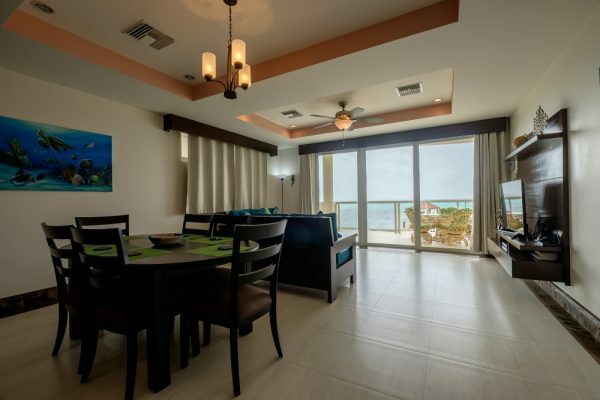 Unit BV 2-4 is an oceanfront unit situated on the second floor with absolutely breathtaking views of the Caribbean Sea and second largest Barrier Reef in the World. 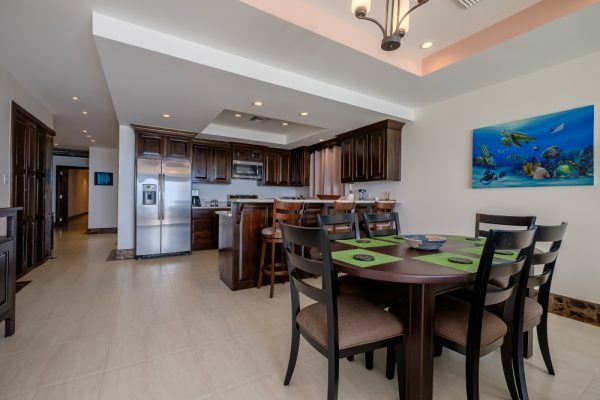 Offering a spacious 244 square feet private veranda, a bright living/ kitchen and dining area. Bedrooms and bathrooms are to the rear of the unit to allow the living area more width and better views. 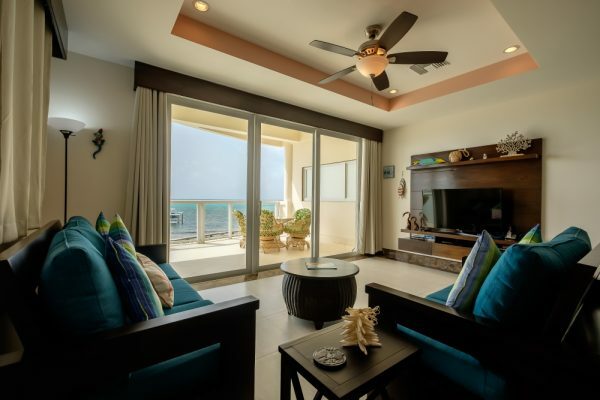 Tons of light enters this amazing unit through big glass patio doors. All glass is tempered storm resistant. You won’t be able to resist this exquisite home. 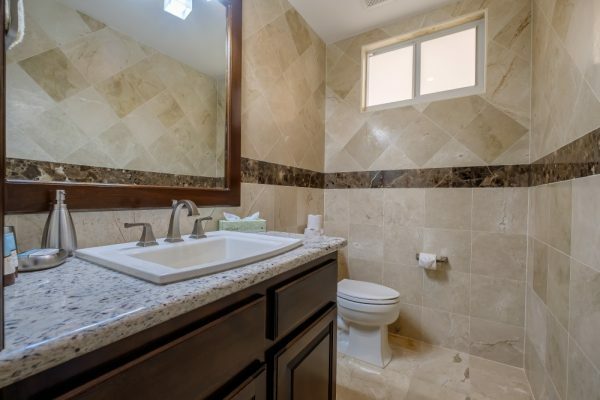 Not a thing has been forgotten in the planning, building and furnishing of this beautiful two bedroom two and a half bath, 2,074 sq. 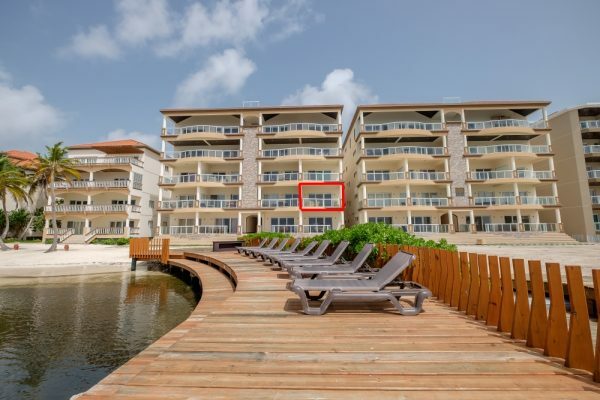 ft. condominium. 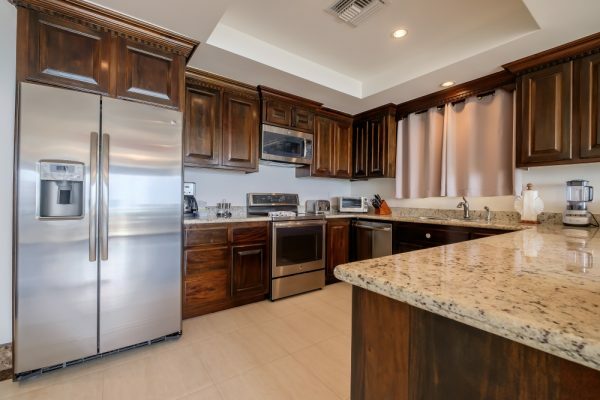 This unit is tastefully furnished, including top of the line appliances large and small, electronics including flat panel TV’s, artwork and all linens, drapes, towels, cutlery, crockery, nothing has been forgotten and this unit is ready to move in or rent out. Owners and guests at Grand Caribe Belvoir now have access to a custom-built fitness center/spa, a 90 seat full service rooftop restaurant and bar and a convenient store onsite and 6 swimming pools. Coming soon to Grand Caribe Belvoir and its sister resorts, an onsite 24 hour medical center for the convenience of home owners and guests. 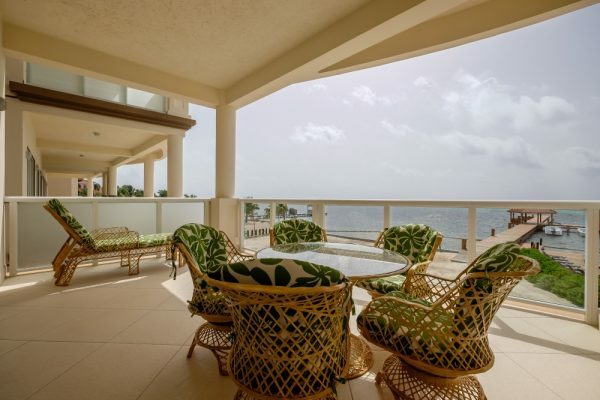 Grand Caribe Belvoir is Under the Grand Caribe umbrella and all Grand Caribe amenities are available to Grand Caribe Belvoir owners. See a Virtual Video Below of Belvoir Unit 2-4! 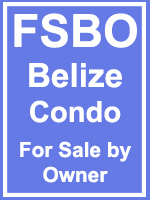 • All Concrete Construction• Under 2 miles from San Pedro Town. 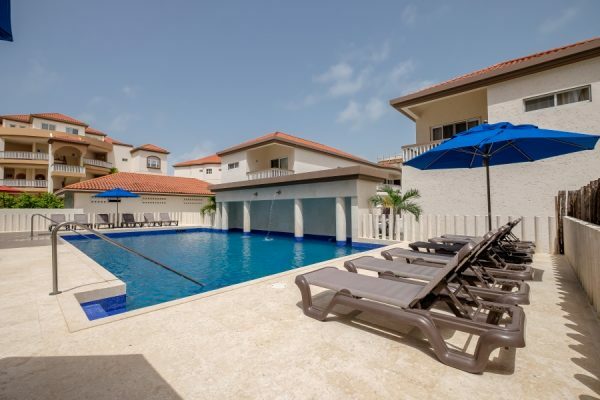 • Access to 6 swimming pools. • Access to 2 hot tubs. • A 90 seat, full service, rooftop restaurant/bar. • Workout center. • Rental Program available. 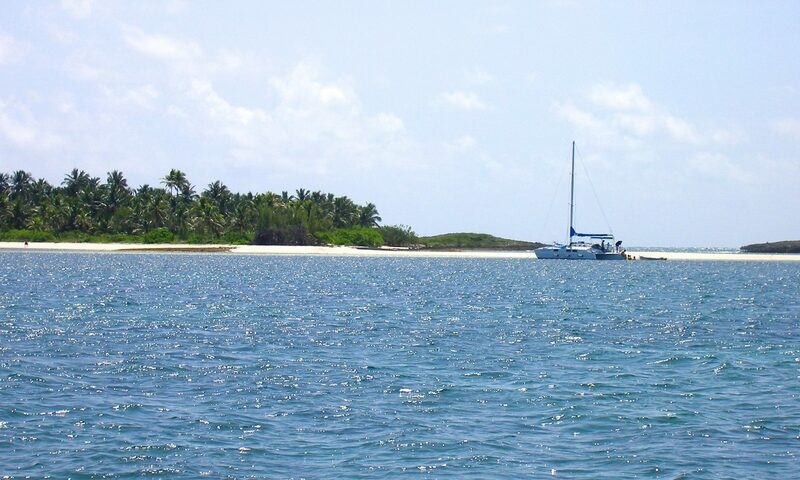 • Easy paved road or water access to town. 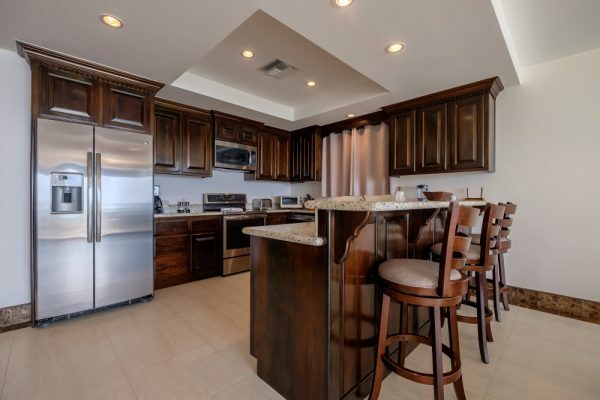 • Monthly HOA: US$327.75 – include cable TV, internet service, once a week housekeeping ( consumables not included ), basic in-house phone service, garbage removal, 24 hr. security, simple maintenance, etc. 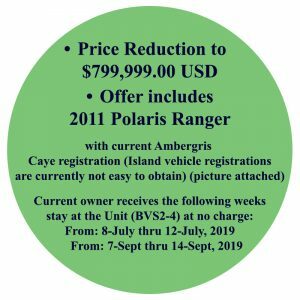 • Owner is also selling for an additional cost an “Ambergris Caye registered” Polaris Ranger Vehicle! 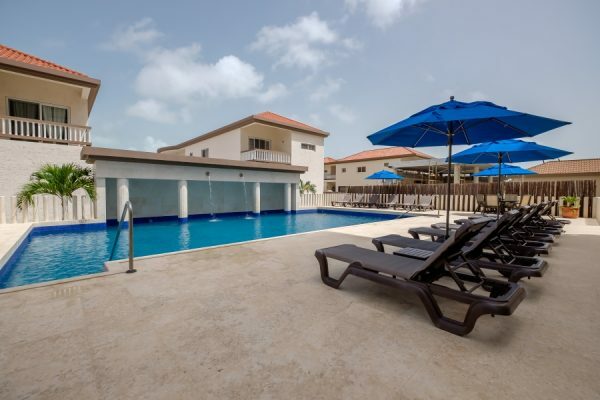 • Each unit comes with full maintenance, includes basic phone service, security, grounds and pool maintenance, exterior building maintenance, Internet, Cable TV and more. 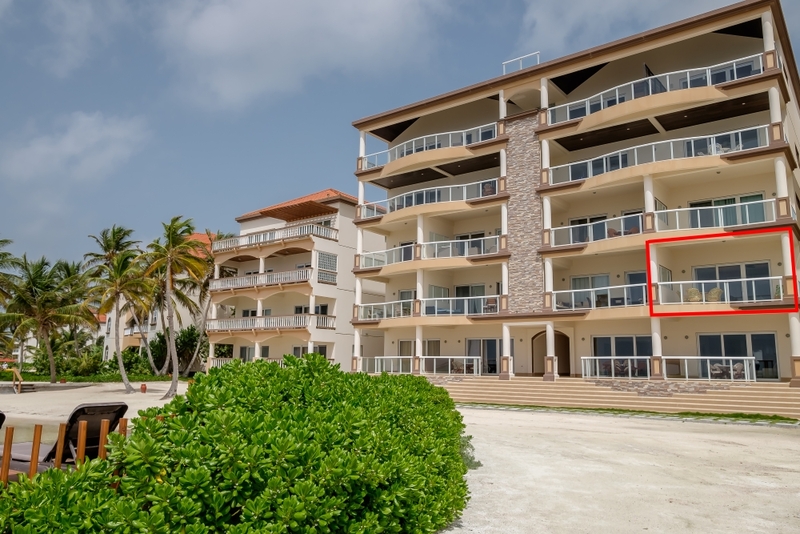 • The resort boasts a multi-level, state of the art clinic with doctors 24/7 (for Grand Caribe resident) and a helo-pad for emergency life flights (if necessary) to Merida, Mexico. 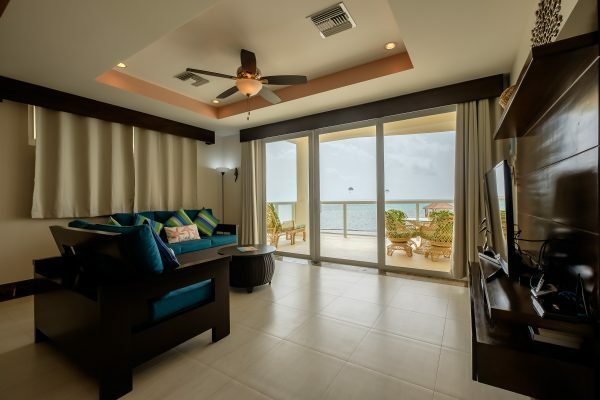 Grand Caribe Owners each receive the first $1000 of services free (annually), as well as a 30% discount on services and products, after the first $1000.